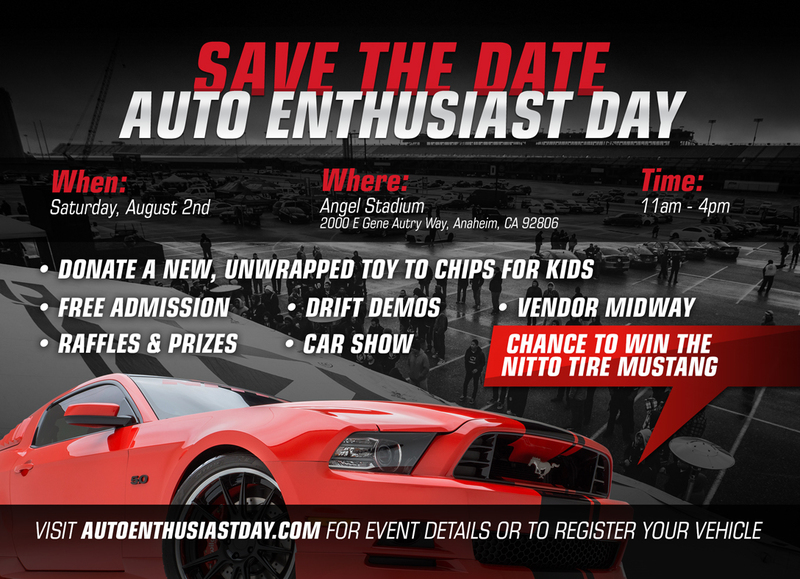 Nitto's Auto Enthusiast day is just around the corner once again. This year, hundreds upon hundreds of cars will gather at the Angels' Stadium for a Saturday full of automotive fun. Admission is free for all, with drift demos, a car giveway, raffles and prizes, and plenty of vendors in attendance. Despite last year's torrential downpour, the show went on as one of SoCal's best large-scale car gatherings. Be sure to make it this year, and if you missed it, here's our coverage from 2013. If you'd like to display your vehicle, head to autoenthusiastday.com to register.